Ischaemic heart disease and stroke are the world’s biggest killers, according to the World Health Organization. In fact, in Singapore, cardiovascular diseases account for 1 out of 3 deaths. These diseases carry no early symptom; often a sudden attack claims lives unexpectedly and prematurely. It is therefore important to fight against these diseases by taking the right steps to achieve good heart health. 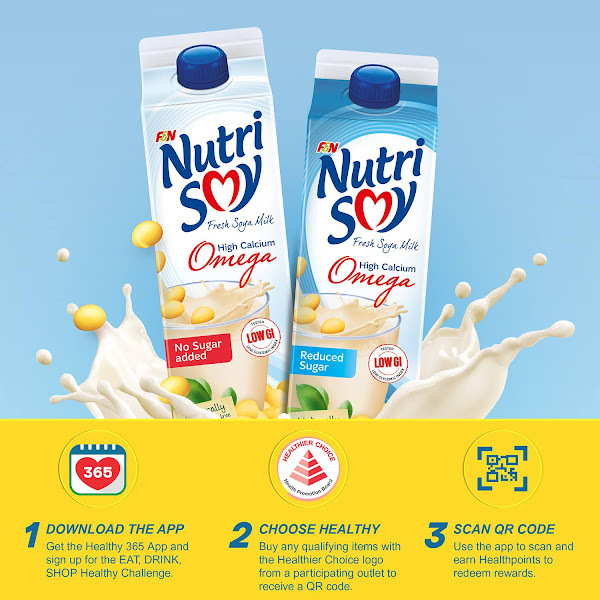 F&N NutriSoy supports Singapore Heart Foundation’s (SHF) programme on World Heart Day to educate and encourage Singaporeans on the many ways to lead a heart-healthy lifestyle. One can take preventive measures such as routine health screening, a nutritious diet, and an active lifestyle are some important habits that Singaporeans to improve their cardiovascular health. Soya beans are the only vegetable source that contains all the essential amino acids for human nutrition and are naturally cholesterol-free, lower in saturated fat and containing high amounts of protein. Research has also suggested that consumption of more plant protein such as soy can lower the risk of cardiovascular disease. 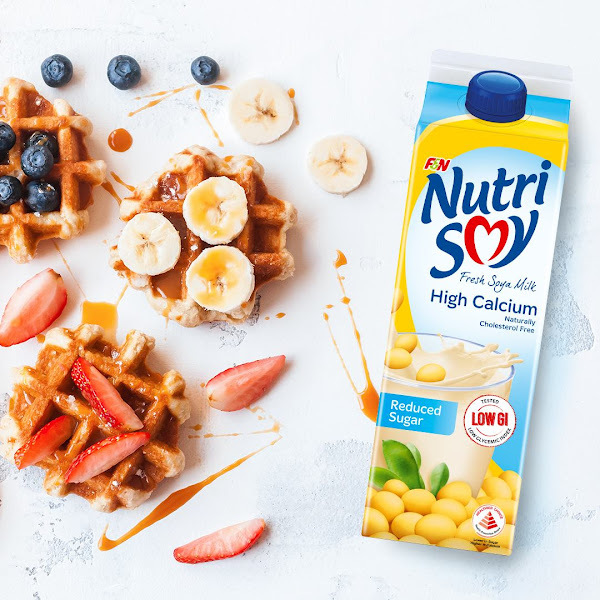 Rich in iron, phosphorus, magnesium, B-vitamins, Omega-3 fatty acids, and zinc, soya protein and isoflavones found in soya milk are able to lower total cholesterol and low density lipoproteins, known as ‘bad’ cholesterol. F&N NutriSoy is made from premium, non-genetically modified soya beans without preservatives and colourings. Low in Glycaemic Index (GI) and less in sugar, the F&N NutriSoy Omega range is also fortified with the goodness of ALA Omega-3 for an additional boost to your health. It offers the goodness of ALA Omega-3 from flaxseed, shown to improve blood lipid profiles which are beneficial for heart health (American Journal of Clinical Nutrition, 2010). F&N NutriSoy is available in Original, Reduced Sugar and No Sugar Added variants and is the ideal beverage to power up your hearty lifestyle. It is supported by the Singapore Heart Foundation as a heart-friendly drink, halal-certified and suitable for vegetarians. The Recommended Selling Price of F&N NutriSoy is S$2.45 per 1-litre pack and S$1.40 per 475ml pack. You can find them in major hypermarkets, supermarkets and selected convenience stores. oh, i haven't tried this yet. Maybe i should, in support ! Our heart needs us to take care of it. So it is good to avoid fat rich food which can increase your cholesterol level and also do walk at least 30 minutes a day.